Thanks for checking out part 3 in a series where I enjoyed mixing for Autohypnosis. Previously we examined re-amped keyboard parts (Mix Tip 1, Mix Tip 2). This time let’s work with a snare track. I don’t believe that every snare drum should have reverb added to create a de-correlated stereo spread, but I will admit that I often try the technique first. So I was frustrated when this snare already sounded “wet”. There didn’t seem to be a stereo version of the drum with reverb. I accepted the challenge of making it fit without adding more treatment. Like the synths, I tried re-amping. 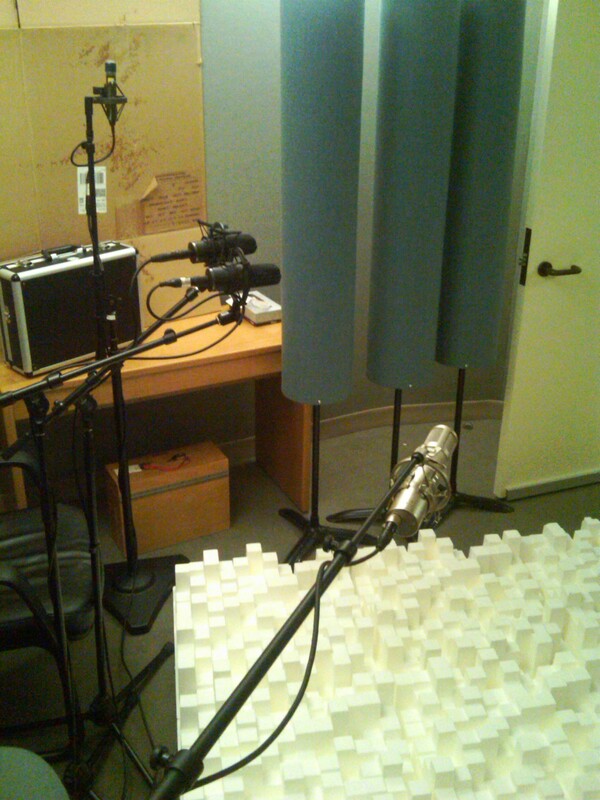 But the snare would be panned up the middle, so I recorded stereo room reflections to wrap around it. I have had very good results recording ambience on location with the Blumlein Technique, so I used it here too. the picture is a crossed pair of figure-8 capsules. This is absolutely one of my favorite techniques used on the Autohypnosis album.